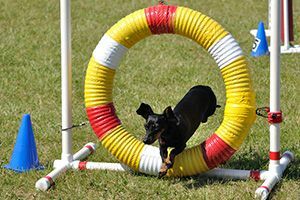 You’ve probably seen the incredibly athletic dogs at Agility competitions, flying over jumps, crawling through tunnels and weaving in and out of poles at breakneck speeds. Maybe you thought this looked like a fun activity to get involved in, but didn’t know if your dog (or you!) could handle the extreme physical and training challenges that Agility presents. The good news is that the sport of Agility can be enjoyed on many different levels. 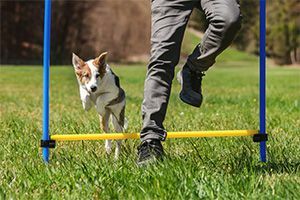 Even if you never reach the Westminster trials, setting up some jumps and other Agility obstacles in your backyard, and training your dog to negotiate them, can be great fun and provide healthy exercise and a bonding experience for both of you. Here are some pointers on getting started. Before You Jump In . . . Your dog should have a good grasp of basic obedience commands -- Sit, Lie Down, Stay, Come – before you try to teach her Agility moves. Appelbaum recommends working with a dog trainer in a group obedience class setting, because “this will not only help train the dog to listen around distractions but also assist in socializing the dog, which is another important foundational key” for participation in Agility. Once your dog has mastered the basics, elevate his game by teaching him fun tricks that will come in handy when tackling an Agility course. These may include: moving to the right or left, backing up, weaving through your legs, perching on an elevated object, crawling through things (i.e. a box turned on its side), and stepping between the rungs of a ladder lying on the ground. There are many starter Agility kits for sale online. You can also make your own. Most of the obstacles listed above can be created from materials you can buy inexpensively at hardware stores or online or may even already have on hand. Once the obstacles are in place, start helping your dog through the course slowly. Train her to jump over the hurdles, offering plenty of praise and delicious rewards like Crazy Dog Organic Train-Me! Treats. Guide her through the weave poles, walk her over the teeter board and help her crawl through the tunnel. 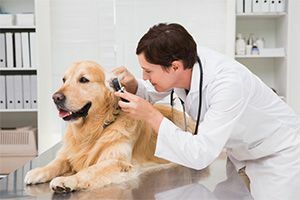 Once your dog is familiar with the obstacles and has mastered the commands associated with each, you can gradually start picking up the pace. Above all, make it fun for you and your dog. “Keep reasonable expectations,” advises Appelbaum. 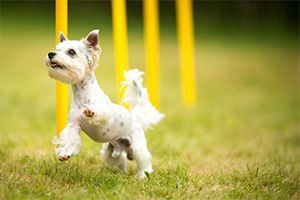 Not all breeds – or all dogs within a certain breed – are born for Agility. Even if it becomes obvious your pup isn’t going to be the next LeBron James of Agility, the sport can still be “fun and interesting for dogs and their pet parents. Plus, even if you aren’t competitive, it’s great exercise,” noted Appelbaum. If you do want to take it a step further, there are hundreds of Agility clubs and classes throughout North America where you and your dog can get more formal training. 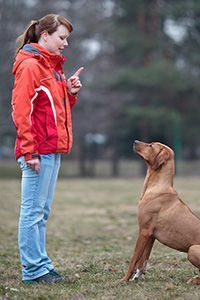 Since many graduates of the Animal Behavior College teach agility, Appelbaum suggests checking out the Find A Trainer page on his group’s website www.animalbehaviorcollege.com.